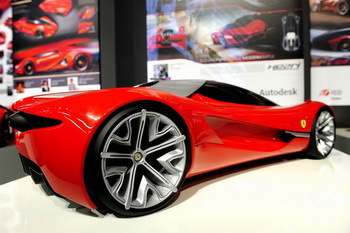 Students from Seoul’s Hongik University have won the Ferrari World Design Contest, a competition in which 50 highly prestigious universities across the globe took up Ferrari’s challenge of imagining its cars of the future. The Korean school was chosen ahead of the second-placed IED of Turin in Italy in the final with London’s Royal College of Arts finishing in third position. The first three classified models are: 1st. Eternità– Kim Cheong Ju (Rep. of Korea), Ahn Dre (Rep. of Korea), Lee Sahngseok (Rep. of Korea) - Hongik University (Seoul); 2nd. XezrI - Samir Sadikhov (Azerbaigian) - IED (Turin); 3rd. Cavallo Bianco - Henry Cloke (UK), Qi Haitao (China) - RCA (London). 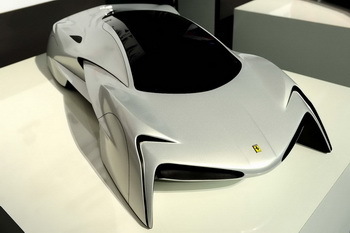 The Seoul students provided the finest interpretation of Ferrari’s design brief for a thoroughbred hypercar brimming with new generation technologies and materials, an extreme (“hyper”) car not only in its architecture but also in every other aspect. Having completed an initial 2D design, the entrants then generated 3D models in 3D Autodesk® Alias as well as making a physical 1:4 scale model with particular emphasis on detailing and the car interior in addition to more functional concerns. All of the design concepts focused on reducing fuel consumption through alternative propulsion systems, particularly hybrid engines. Another common thread was the boosting of driving pleasure through weight reduction. More geometric forms alternated with sinuous, almost organic lines in the various design projects. There were also two special prizes. The “Autodesk Design Award”, for the best use of Alias software in the design process, was presented by the technical partner to the contest to Hongik school. The second prize, the “Most Unexpected Technological Solution” award, went to the team from Jiangnan University (China) for the audacious technical solutions contained in The Drake concept. The prizes were presented by Brenda Discher, Autodesk’s Vice President Industry Market, and Ferrari CEO Amedeo Felisa. 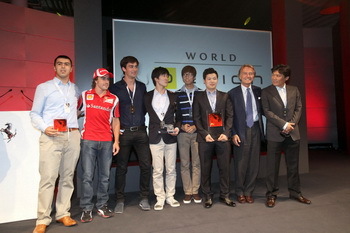 The three finalists, however, received their prizes from Ferrari Chairman Luca di Montezemolo, CEO Amedeo Felisa, Paolo Pininfarina, Chairman of the Pininfarina Group which has partnered Ferrari in the styling of its cars for over six decades, and Flavio Manzoni, director of the Ferrari Styling Centre, which organised the contest.